You are cordially invited to attend the next Democrats Abroad Panama meeting, Saturday, June 11 from 1-2 PM at the Balboa Yacht Club*. Help us elect a new Board of Directors so we can get back to our goal — to help eligible voters cast their votes to defeat Donald Trump in the approaching election. 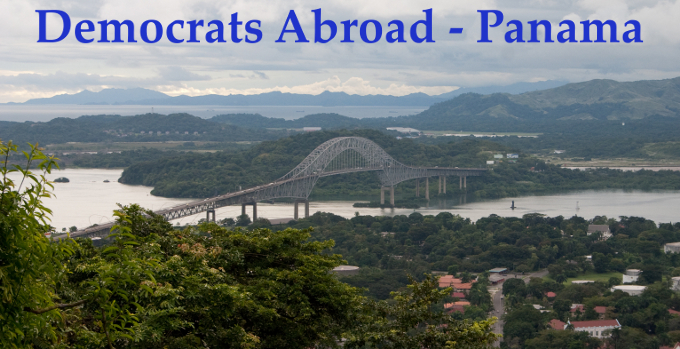 Check the Democrats Abroad Facebook page for updates, as well as a copy of the Democrats Abroad Panama By-laws and the minutes for the last general meeting. Schedule Special Elections to elect all new members of the Country Committee Board of Directors at a meeting to be held on Saturday, July 16, at a time and place to be determined. Further, that the elected Board members serve until a General Election at the Countrywide AGM in the first half of 2017, AGM tentatively set for February 2017. Brief update on transfer of treasury. Additional discussion and motions from attendees. *The Balboa Yacht Club is an informal open air club, well-known and easy-to-find. Turn right at the beginning of the Amador Causeway as if going to Country Inn and Suites. Drive 2 blocks and turn left. The entrance to the parking lot is on the right. Stay after the meeting for drinks and conversation.